How well is your business supporting your personal financial goals? Live a rich life, not just get rich. 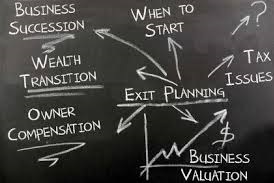 Make your business and personal financial planning a happy process that transforms your results. Every business owner wants a simplified financial planning process. One that confidently cares for you, your family, and your business. The top money goal is to have the company smoothly yield more than a lifetime of income. Our job is to give you useful options to make better money decisions. Coordinated business and personal goal reviews help do this job for you. The review maps your feelings on the top 38 business ownership challenges and 17 personal concerns in six areas each. We can help you identify your top coordinating objectives in less than 20 minutes as part of your strategy mapping. before we offer options that clear the details confusion for more peace of mind. Our clients want an adviser process that invites effective actions to reach goals. This connection is the cornerstone of our success for clients. We coordinate your wide array of financial planning goals. The content areas in this Personal & Business menu are examples of global planning areas considered in your Strategic Wealth Coordination, SWCSM process that identifies your top coordinating objectives in less than 20 minutes as part of your strategy mapping. Coordinating your personal wealth management goals with your business goals makes this sophisticated service specialized and a unique choice. You will discover 16 benefits business benefits before you exit. And, 59 more benefits when you sell. Our organization chart shows the firm’s comprehensive capacities to make a difference for you. Most business owners rely on the income generated by their company. This reliance often includes family members and employees. Many also have a high anxiety level associated with the threats to their income. Over the years, we have developed an organization process that integrates sophisticated financial management with your selection and implementation of linked personal and business strategies to protect that income. Your personal financial plans are coordinated with your business operations to accomplish the goals in both areas of your life. We start the process with our structuring survey of your Current Personal and Business Goals. Our comprehensive list surprises many surveyed. The result shows planning areas for you to consider putting into sync. You are welcome to call 513-266-3226 for more information. You can ask about a specific business area that you would like to mesh better with your personal plans. Please enjoy the website. If you do not find what you are looking for, send us an e-mail description. We have hundreds of articles, planning worksheets, infographics, and videos not on the site. Strategic Wealth Coordination, SWCSM is also required to balance your business and personal wealth management process. My mother taught me about systems early in life. When I would take a better approach to a job, she would always say, "Now that's the system." Now I am building systems that bring success to coordinating business ownership with personal financial planning. What kind of a legacy will you leave behind to your family and your business? “Business succession planning is your personal success process.” David A. Dinsmore.